In the bid to provide safe passage for the students, staff and members of the University of Benin community, Governor Godwin Obaseki of Edo State says the State Government will construct a pedestrian overhead bridge at the main gate of the University of Benin. This lofty step will stem the hazard hitherto faced by students and members of the university community when crossing the highway. It could be recalled that several students have lost their lives in the course of crossing the ever-busy Benin – Lagos express way. 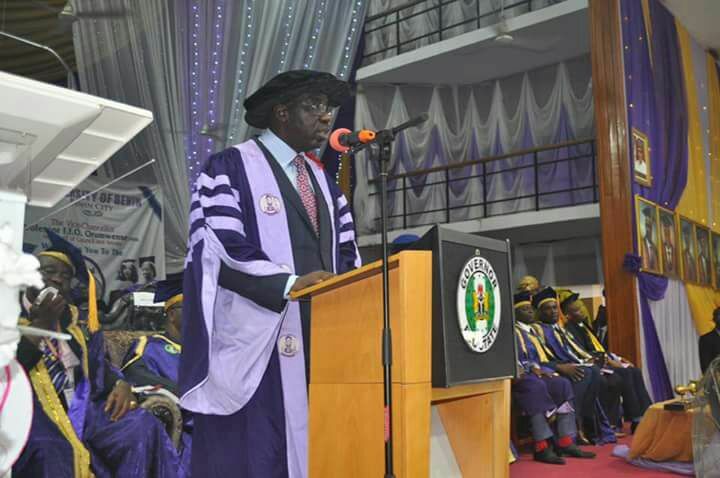 Also speaking at the 14th Convocation ceremony of the Igbinedion University Okada, Edo State, Governor Godwin Obaseki called on Nigerians to embrace change and innovation which he said will engender inclusive growth. Obaseki added, “The Government of Edo State is therefore committed to reforming the educational sector of our state so as to create knowledge driven economy where Edo people and residents in Edo State can better compete globally.” The total number of graduates at the 42nd convocation of the University of Benin was 12,515 while that of the 14th convocation of the Igbinedion University Okada was 676. The ceremonies featured awards of doctorate degrees, master degrees, first degrees, diploma certificates and honorary doctorate degrees to deserving personalities.